Want to know how you can get put your gifts to good use around the chapel? Read more about the different teams we have here at the chapel and then let us know how you'd like to serve! Like to dream up party themes, do behind the scenes event set-up, or scroll Pinterest for decorating ideas? Join the Community Life committee to help with set-up/clean-up for Thursday Night Suppers or events like the Halloween party! Are you in a million organizations on campus? Do you have a passion for getting the Catholic Patriots more connected on campus? Join the Campus Involvement committee to help plan Corner Pocket events, Homecoming tailgates, and getting Catholic Patriots to events other organizations are having on campus! Do you have a heart for people? Do you like to reach out to those in need? 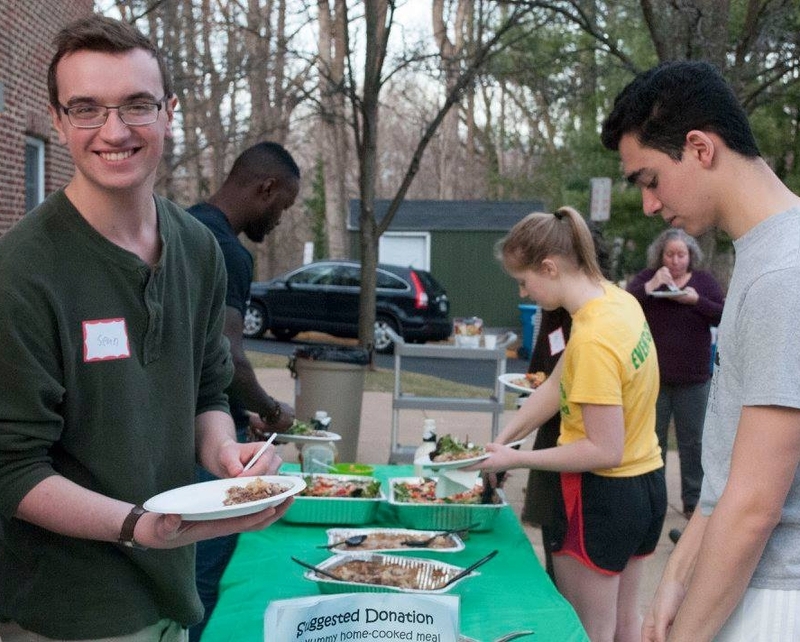 Join the Works of Mercy committee to help make and serve a hot meal to the homeless men and women of Fairfax, visit students in the Juvenile Detention Center, or join us for pro-life rosary every Saturday! Do you want to help others understand and explain the Catholic faith? Do you enjoy teaching and leading others in prayer? Join the Prayer and Formation committee to help with events such as liturgical set-up, the Thomistic Institute lecture series, and all-night adoration!